Google said on Thursday that it had fired 48 people without pay for sexual harassment during the past two years, a record that the company said showed an increasingly hard line on inappropriate conduct in its workplaces despite a news report questioning its record. Executives at the search giant disclosed the figure in an email to employees the same day that The New York Timesreported that former Google executive Andy Rubin, creator of the Android mobile operating system, received a $90 million package after the company fired him in 2014 over a report of sexual misconduct. A spokesman for Rubin disputed that he had been told of any misconduct at Google and said he left the company of his own accord, the Times reported. The story about Rubin and two other accused executives "was difficult to read," Sundar Pichai, Google's chief executive officer, and Eileen Naughton, the company's vice president of people operations, told employees in the email. They said that of the 48 people terminated, 13 were senior managers and above, and that none of them received an exit package. "We are dead serious about making sure we provide a safe and inclusive workplace. We want to assure you that we review every single complaint about sexual harassment or inappropriate conduct, we investigate and we take action," the executives wrote in the email, a copy of which was seen by NBC News. The New York Times reported that Rubin has been paid about $2 million a month for four years as part of his exit package, with the last payment scheduled for next month. 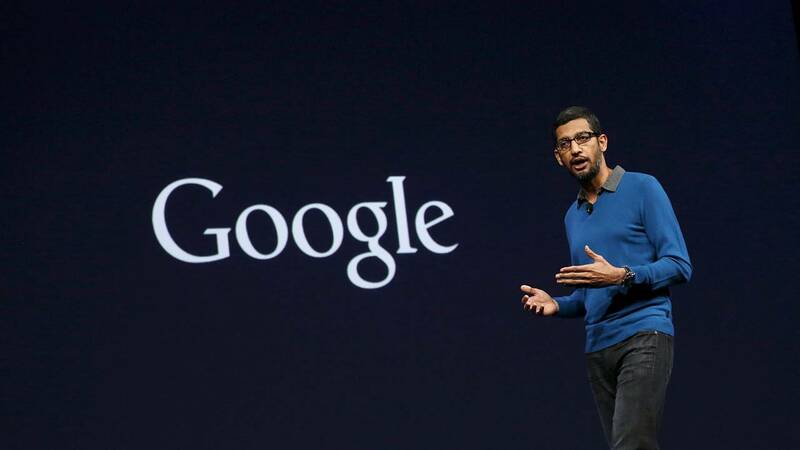 Google also invested millions of dollars in his next venture, the newspaper reported.